We are giving away THREE NEW Veterinary Secrets Revealed Complete Home Study Multimedia Courses, Version 2.0! It’s VERY large – and EXTREMELY VALUABLE! We will announce the lucky winners AFTER the Teleseminar – so be sure to attend! Remember to check back tomorrow for the next 2 videos – and leave your comments below (just click the link ‘Comments’). Just finished watching the first Episode and I’m really impressed with the detailed guidance provided in the examples. I like how straight forward it is and how it helps owners problem solve using the resources in the Course! The clips from your course are very thorough. It is almost like going to a mini-veterinary training. I enjoyed both of your videos. They gave me some good info on dealing with one of my dogs which is a pitbull and has a metal pin in her leg. Thank you. Thanks for all the information you offer. I found the videos informative. I am always looking for natural treatments for both my family and my pets. Going to a doctor or vet is only a choice in severe cases or when natural treatments are not working. Otherwise, we seek to heal ourselves. Thanks for the information! I am so excited to learn all that you have to teach, I have been breeding and grooming dogs for 25 years, I had a Vet that was very willing to teach me alot, until I realized that alternative and non-traditional was the right way for me and my pets to go, at that point he all but abandoned me and for the last 10 years I’ve wished I could find someone like you and I am so glad that I did. Just watched the 2 videos and already learnt a lot. When My dog Tricky started limping and was in pain, I gave him Aspirin ( the right dose, as I used to be a nurse). When I took him to the vet, I was told Aspirin is not a good thing and I had to buy an expensive veterinary NSAID. I am looking forward to tomorrow’s videos. I am so hoping I would be one of the winners, I wish I could afford to buy it . The first video remind me of when my cat got an abscess after he got neutered. I complain that his scrotum was swollen, never had a cat before. I brought him and ant hey said he was fine. They didn’t charge a free, most likely because I got him neutered with a low cost spay/neuter program. A couple of days later I came from school I found puss on the couch. I took him the the vet, the cleaned the area by shaving it, gave him an antibiotic shot, a Elizabethan collar, and oral antibiotics. Than they tried to sell me Yesterdays News cat litter for more than $10. Only paid $60 because they didn’t change an exam fee. I am real excited about all of the information that is being offered… I would much rather treat my animals at home if possible. It seems that all info is very complete. Thank you so much for helping empower us to care for our dear furry ‘children’ in the comfort and safety of HOME! Very good information on when to take your pet to the vet. I don’t have a cat but learned to take the animal’s temp and make sure they are eating and drinking. Very good information on when to take your pet to the vet. I don’t have a cat but learned to take the animal’s temp and make sure they are eating and drinking. The accupressue points are very helpful and easy to do while your relaxing with your pet. I would love to have this course and will be saving my dollars to purchase! A wonderful advert for your course! Diagnostics and proceedures explained clearly, step by step. Very encouraging for the layman. Thank you Dr Jones! As a pet lover and animal lover in general, I am SOOOOOOO looking forward to the seminar. I am amazed by the Veterinary Secrets Revealed that I just purchased. Very excited about a more extensive version. I would like to enter the ‘Home Study Course Contest’. See my comment above. VERY informative. As someone who has frequently had low to no income over the years, I have thoroughly enjoyed learning new tricks to add to my repetoire of home remedies. Would you consider adding a list of items such as surgical instruments and medical supplies to be kept in a pet care kit? In mine, I keep a few sewing needles in various sizes suitable for sterilizing and opening shallow abscesses. I also keep some sterile gauze, tape, or floss on hand for keeping an abscess open to promote drainage. One more thing, do you ever use gentian violet? It is an old remedy, but highly effective against fungal infections. I wish that there were more vets out there like yourself! The fact that we are able to combine natural remidies along with “standard” protocol is a god send! I cannot tell you how many thousands of dollars we have had to shell out for vet bills in the past, and I am growing weary of single handedly insuring that our vets can take early retirement as a result of our business. The long term effects for many of the meds we have been giving our pets have had a negative impact on them, thus compounding the sense of frustration we sometimes feel they seem to be responding better health wise to some of these natural remedies and our pocket books seem to be happier as well! I have your original course and have found it very useful, I would and have recommended it to many people,and in fact have had our dog breeder and some of her friends using some of your recommendations on their animals with great sucess and super results with their show animals. For the price of 1.5 vet visits, you really cannot do any better than pick up this course. I see that 2.0 is larger, so I think that people will find this upgrade on my wish list for sure!!!! Thank you for providing all of us with your knowledge and insight, your program has made a difference around our place, and one for the better! Thank you so much for offering your call on Thursday, I am really looking forward to it. I keep hearing to back of the vacines, but not hearing about any alternatives. I’m really looking forward to hearing about he natural treatment for heartworm. I hope you have a great day! Thanks for all your advice! Great videos outlining your new course. My main question is concerning the course. I currently using your last course and have the 12 CD/DVDs. It appears that if I was to get the new course that I would have much of the same material. Question: Would I pay the going price for the new course or a reduced price, pay they whole price of the new course ordo I keep what I have? It is a great course. I am really impressed with the thoroughness of your course. I was not sure what to expect since I’m obviously not a Dr. but I can tell the course will give me much confidence to feel like I am doing the right thing for my pet. I have a need to handle some things myself without incurring unnecessary costs, but still protecting my pet and being a good owner. You have thought out everything for us. Thanks! I find your info very informative and think it is wonderful that you give all this info. I have 6 dogs at home, 2 cats, and 6 horses. I have lost pets in the past from using steroids for treatments, and will not do so again. I am always looking for alternative medicine and your info is very informative, thank you again for all your advice. Have a great day. I’m learning so much all the time from you. I’ve always been keen to treat my dogs as naturally as possible without too many visits the the vet, you will give me the confidence to do this. Thanks for providing this good information about helping our pets. Watched both your videos and found them very helpful, wrote things down of importance for our dog Powder that will be very helpful. I really love your approach of healing naturally instead of pharmaceutically(spelling?). Thank you for offering these to everyone to help our four legged family members, it’s really appreciated more than you know. Thank you so much, Dr. Andrew! I have a kitty and am taking care of my tenants’ while they are away. Their kitty developed an infection after being spayed, and a friend’s daschund who I was dogsitting overnight developed a limp (Maybe I’m a jinx)! I do have your original course, but can see it would be so helpful to have the updated version. Thank you for these 2 videos which have given me so much help already! I wanted to tell you how much we have enjoyed and benefited from your first course which we purchased some time ago. This is a ‘must have’ for every pet owner. I have referred many people to your website, both in Canada and the U.S. Since my husband and I are involved in dog rescue, and taking in fosters, I have found your course to be absolutely wonderful. It’s a little easier to tell what might be wrong with your own pets since you are with them constantly, but when we bring in a new foster, it is so beneficial to know how to do a thorough exam so we can head off any problems before they get out of control. Your new course with additional material would be such a welcome addition to our current library. Our dogs, including our fosters, are all presently taking your supplement. We want to give them the best possible chance for a long and happy life. Dr. Andrew, I am thankful that I have this opportunity. The information is simplistic and informative. Knowing I can give aspirin and accupressure to relieve symptoms is priceless.I have had panic attacks when events happened at night and didnt know what to do? This will empower us and relieve anxiety. My 10 yr old collie made remarkable improvement on your vitamins and changing her food to Blue Diamonds. I definitely am interested but will have to wait till finances are improved, since I am presently on social security. You have restored my faith in humanity. In this time of financial crisis this is a Godsend that you have a heart of compassion and not greed. As a complementary therapist I really appreciate your work. I love the fact that you show many different ways of correcting dis-ease or pain. I teach a class called Pawspoint Reflexology for animals and I am so pleased to refer people to your site and your work. I ordereed your workbook several years ago and would love to have the updated version. The first appeared complete, but this new one seems even better. If I win a set, I will give the one I have to one of my needy students. Then everyone benefits. What I appreciate most in your work and in your newsletters is the integrity which you present. It is a lost asset these days! My motto when I teach is to give 110% and I believe you give 125%! I look up your information constantly. Recently my old malamute developed pancreatitis. Yes, I did take her to the vet, but I could also make up my own mind about treatment. They were insisting on a veterinarian diet food and I refused, as Nikki has been on raw foods and vegies. Thanks to your information I could continue using a preferable diet that I could prepare. Then I knew the ingredients and I had a useful backup of information. Thanks for being there Dr. Jones. Thank you for all of the information you have so freely shared! My dog, an 8-year old black lab named Phoebe, means the world to us. She makes me laugh every single day, and I am so grateful to be able to work from home and ‘share’ my office with her. She is a gift. Phoebe has had a couple of surgeries over the last two years – a cancerous cyst removed, and another benign cyst removed a year later. I’ve recently been working to remove most preservatives from my own personal diet. The difference in the way I feel is amazing. And why would it be any different for animals? It wouldn’t! I am a strong believer in the need for a more holistic lifestyle. We are killing ourselves and our pets! Thank you for helping me to develop a more natural and healthy lifestyle for my puppy! I always tend towards home remedies for my dogs and cats but I learn as I go along. Dr. Jones, thank you for laying it out for us in easy to follow and understand steps. Our pets will be better with your help. Your videos are very straight forward. I like how you teach step by step how to treat pets. It is very good that you differentiate what medicines are used for dogs and not cats. Thank you for the vital information needed to treat our pets at home. I HAVE WANTED TO BUY YOU SERIES OF BOOK AND DVD’S BUT CAN’T AFFORD THEM. WE HAVE 6 SMALL DOGS AND AS YOU KNOW IT CAN GET VERY EXPENSIVE GOING TO THE VET. ABOUT 2 YEARS AGO WE HAD A POODLE CHOCK TO DEATH WHICH ABOUT SENT MY HUSBAND OVER THE EDGE. I JUST RECENTLY SAW YOUR VIEDO ON THE VERY SAME SUBJECT. RIGHT NOW WE ARE HAVING OUR NEWEST ADDITION A 10 MONTH OLD JACK RUSSEL TREATED FOR MANGE. YOUR TWO VIDEOS WERE VERY INFORMATIVE AND I THANK YOU FOR ALL YOUR WONDERFUL INFORMATION. I HOPE TO WIN THE CONTEST SO THAT I CAN HAVE ALLYOUR INFO AT MY FINGERTIPS TO TAKE THE BEST CARE OF ALL MY PUPPIES (I CALL ALL OF THEM MY PUPPIES. THANKS AGAIN AND GOD BLESS. Want you to know that I am impressed with your videos that I just watched. I am very much interested in being an active part in my dogs health and healing. Sometimes the cost of veteninary medicine is prohibited, and sometimes I’ve learned that they make mistakes because they are in too much of a hurry. Thanks for trusting your clients. Amazing! So informative and thorough; I can’t wait for tomorrows and the webinar. The detail is great and given in a step by step manner. Just about anyone should be able to follow along and know what to do and when and more importantly in what order to proceed. The log that is referred to sounds wonderful-such a great way to be sure you didn’t miss something and so you don’t forget something that you did check. Looking forward to more like this and entire course! Keep up the good work Doc-we love you. Hello Dr. Jones, I’m a Vet-Tech student and after that I’m planing to be an Animal Behaviorist. To me this would be the opportunity to know a more natural way to approach to my beloved animals. I don’t trust on any kind of “professional” right know because the only thing that anybody wants is $$$ $$$ $$$. But you seem different, I can feel that you really care, that they are first to you as they should be. THANK YOU, you are one of the few people on the world that made me believe there is hope again. I am very thankful to Dr. Jones for making such an incredible presentation. The dedication that it takes, and all the hours of training and research is enormous. It is so helpful to have well laid out informative material. I look forward to learning more! I can say this: Considering that you are a full-time working parent, and that you do find the time to give us lost pet-owners all this wonderful guidance and advice, you have become like a hero to us. Endless thanks to you and your team, keep up the good work!! I really enjoy the videos. It is easier to comprehend when you actually see how to do it. I have the first Home Study Course and I love it. I have gotten phone calls from many a friend asking me to look up things for their sick animals. It has proven invaluable. I live in a state where there are no Homeopathic Vets so your information is invaluable. Keep up the good work. You make it so much easier for people on a small income to feel comfortable having pets and being able to take care of them. Thanks. The question about when you treat your pets at home versus taking them to the vet is a constant with me now. I have a cat and a dog, both of which have health problems. One which they share are very sensitive GI systems. Recently I realized that their FOOD was probably the culprit, or at least a big contributor. They were both on prescription diets — which were recommended by and purchased at the local vet’s office. Cannot believe how slow I have been in getting up to speed with all the things which are bad for and dangerous to our pets. So I’ve become a pet owner who isn’t sure when to heed the advice and follow treatment which comes from the vet. It can be confusing for sure. The first video was awesome.I have a pet sitting service and this information is invaluable. A number of my clients ask questions that I wish I could answer and hopefully with this series it will be a blessing. I like knowing thru your course things about my dogs and not being in the dark when treating anything..I am getting into the natural cures and look for ways that are safe for my babies..I use your canine health formula and can see a big difference in my 8 yr. old mixed breed dog.. Thanks for keeping us informed..I look forward to learning more..
How ironic that in watching video 1, you discuss cat abcesses. My cat recently had one on his tail, and I “winged” it. I’m glad to know that my instincts were correct. First I cleaned it with a warm washcloth, then I washed it with antibacterial soap, and made a point of keeping it clean. It healed within days, saving me a lot of money. I really appreciate all your tips, and love KNOWING when it is ok to treat at home. I have become quite addicted to checking my email inbox for more daily tips! Thank you for caring more about my furry family members than about lining your pocket with over-inflated vet bills. I love it!, I absolutely love the idea of not having to take my pets to the vet every time I think they are sick! not only because of cost but of how long it usually takes to get an appointment, then wait in line, I’d much rather do it myself if it is a non life-threatening problem. Very helpful and informative. I enjoy the daily e-mails because I know they will always give new at home remedies that really do work. Dr. Jones, just from watching the two videos, I can tell you I wish I had had this information 7 months ago. Too many times people wait to take their pet to the vet in hopes of them getting better and then it either costs them a lot more money or it’s too late for the vet to be able to do anything. Your couse should help a lot of people. It would be nice if it became more well known for everyone to know that there is a better way to help their animals. The second video told me something I wish I had known about a long time ago and my own vet just seem to shrug off as my puppy would outgrow the problem. I look forward to seeing tomorrows videos!! Thank you!! Thank you so much Dr Jones for the 2 thorough and informative videos. Very easy to understand and follow. This looks like a great program. I am an animal intuitive and equestrian coach. This would definatly be something I would recommend to my clients. I would love to see therapies for preventing and reducing cataracts in dogs. I have a dog who I am considering surgery to remove his cataracts as he is almost completely blind from them. He’s also on rimadyl and two eye ointments for eye inflammation and I would like to know if there is anything else natural that might help reduce the inflammation and eye pressure. As a former ACO and now pet sitter who tells all clients to see a holistic vet and/or gives out info on alternative treatments your videos are very informative and show that the cat is out of the bag so to speak. You don’t have to spend an arm and a leg and get 15 mins of a vets time. I’ve been sending the videos to everyone. I had to put 2 kitties (one 17 and one suddenly developed lung cancer at 6) to sleep recently (within a period of 2 months) and have grown weary of even seeing my holistic caring vet. Knowledge is power and I am so looking forward to all you have to offer and taking the homestudy course so I can pass it on. I love receiving your emails on alternative at-home vet care. I have 8 dogs and 8 cats that I care for daily – your information really helps! I am a Life Coach and Care Giver and use alternative ways to manage food, cooking, healing and everyday life! Now I have some tidbits on how to care for my furry friends. I would love to be the fortunate recipient of one of your courses! It would sure help with my animal companions! Thanks for all your continued information! Thank you for what you are doing. I coordinate a rescue network for dogs and cats, and I am fortunate to work with a number of vets who are open minded about complementary therapies. Some issues require veterinary intervention, but many chronic issues can and should be treated with food, herbs, and homeopathy. Thank you for creating what seems to be a safe, compassionate and holistic environment for people to learn – and for pets to get well! I am so glad that you are doing this it gives a person a chance to be able to help there pet at home, were he or she feels more comfortable than taking them to the Vet and upseting them, when it was not be necessary to get Professional help. My husband & I have your 1st course and have benefited very much from it. We’re very excited about getting a more extensive version. Thank you so much for all the info you give us! Thank you for creating what seems to be a safe, compassionate and holistic environment for people to learn – and for pets to get and stay well! All of my pets have been & I joined a rescue group about a year ago. Actually, I had 3 Papillon puppies that I fostered from 9 weeks until they were adopted at 6 and 9 months old. When I got them they had terrible diarhea but seemed ok otherwise. They had medication for some type of virus that I was to finish out. I tried all the conventional ways to stop the diarhea but nothing worked. About 3 days later I finally got the paperwork on them & was horrified at what I read & then researched. What I found out was that they had been given thier puppy shots by the miller at the puppy mill they came from, too early & with too little time between them. He also gave 2 different medication to them before passing them on to the vet who contacted our rescue group. This vet gave them something before turning them over to a rescue transport group, who in turn gave them to me with the vet’s meds to finish out. I read up on the medications only to find out that all 3 were dewormers & 2 of them specifically said not to give with any other dewormer! I immediately took them off everything including the food that I was given for them. I gave them Nux Vomica for the diarrhea & started them on a raw diet. The following day the diarhea was slowing down & gone by the 2nd day. what a change it made in those puppies! I’ve just recently learned about homeopathy and am so excited to see that you recommend it as well as accupressure and “common sense”. Your videos are so detailed & explained so thoroughly that I think I could take care of them at home most of the time instead of rushing off the to vet. I read your newsletters all the time & actually print them out to keep in a notebook for future refference. Thank you so much for being there for us. Thanks so much for the info. The first two videos were very interesting and gave me alot of other options to think of that I wouldn’t have thought about before. Thanks again for everything you do! From following you the past few years, I’ve developed a lot more confidence in taking care of my pets and with my breeding program. You’ve not only saved us vet bills, but helped us have our own opinion when getting vet advice (which can be invaluable sometimes). Your videos look great and I think it’s the right approach to helping someone get used to the idea of helping and diagnosing their own pet (which can be daunting). I think you also make it clear that it isn’t a fast & easy thing – it takes study, time, and focus for someone to be able to do it. Best to you in your continued success and thanks again for caring to make the world a better place for pets and pet owners! The info you have put forth is wonderful and the best part is anyone can understand and follow your procedures step by step as you have laid them out. I have been doing raw diets and homeopathic/herbs/etc for over nine years now for my cats; it has been wonderful. Many have health issues and when I found your website a year or so it has been wonderful to find even more help. The videos……I cannot say enough about how wonderful it is to see how to exam my cats. Awesome!! Wow, this course sounds awesome. I am really looking forward to learning more about how to tell if I need to take my cats to the vet, and how I can treat them Homeopatically. Being able to actually see how to do things really helps rather than just reading steps. I know at least one of my kitties would watch the videos with me; she loves hanging out together. I am looking forward to the webinar on Thursday. Tonights videos answered a question I had and with all the information in your references I can feel more confident administering homeopathics, my question was how would one know what homeopathics and in what dose to use but learning that they are never harmful (at worst ineffective if treatment wasn’t appropriate for the diagnosis or if diagnosis is wrong the homeopathic will not cause more problems as many conventional medicines can. Who wants to add to problems caused by side effects of commonly used conventional medications! Hello Dr. Jones and thank you for the informative videos you so generously share. As an owner of 8 rescued cats ranging in age from 9 mos. to 14 years and a 6 year old rescued dog I truly appreciate the training and knowledge your videos and books give me. As you can imagine, vet bills for all my pets can get really expensive very quickly so I am so happy to have your site and all of its very helpful and clear information to help treat my pets safely in the comfort of my home. Your supplement alone has saved me so much money already on vet bills and needless drugs for my dog. I’m hoping you’ll make one for cats soon too. Thank you again for providing so much useful information!! Can’t wait for the teleseminar. I concur with the preceding positive comments. Looking forward to the webinar this week. Thanks Dr. Jones for sharing your knowledge and wisdom for us to utilize on our wonderful animals! Your thoughts on using natural and holistic/homeopathic and doing all your investigative work to provide us that information is awesome! I read all your emails, and learn something new all the time. I’ve sent your emails to other dog owners I know, so they too can learn but more importantly so, for the animals to benefit! Thanks so much! Invaluable information in an easy to understand format. Looking forward to tomorrow nights videos. As parents of three dogs and a cat we appreciate down to earth medical information that could very well save our pets lives. Just watched the two videos. I can’t wait till I know what to do for my baby, and I think your courses are definitely the answer! The info is complete, and given in an easy to follow way. Thanks! Your course has given me the confidence to talk to my vets with some knowledge. I am so looking forward to the vaccine section of your call on Thurs. I feed a raw food diet now and I am interested to hear your thoughts on feeding a dog with bladder stones a raw diet. I do feed a pancreatic prone dog raw food. Hi Dr. Jones. Wow! I just watched your first 2 videos and you describe everything in great detail, as it would be in your course. I find homoeopathy so interesting! I have 2 young cats at home and I spent a ton of money on them. That’s very hard, since I live on a very small disability pension. I would really love to know it all, in your course, to be able to treat my cats without the cost of a vet, unless it’s an emergency, of course. Before I rescued my 2 cats from the wild, I had lost my precious companion of 11 years, a beautiful calico who looked to me for help and also helped me with my pain from my disabilities. I would purchase your course, but I can’t afford it on this small pension. I so look forward to your Teleseminar on the 30th. I know I will learn a lot! I have questions about my own cats, as they are as different as night and day, even though they are brother and sister. I want to be able to give them the best treatment I can and I know I will learn how to do some of that via the seminar. Thank you for all that you are doing to inform the public about numerous things that most of us can improve upon. I been watching your videos, and everything else. Its all wonderful good information, I too wish there was more loving vets like you. We only have two vets here in same building its either the women or the man doing everything. They dont seem to be to concern about my dogs might be issues. This course if I am picked would be the best gift ever for me and for my dog, I am hoping to save money to go do a dog course and get my papers, so I can help dogs in more ways then one and if I had this it would be a dream come true and most important I can help out peoples pets too! I would do anything! I am hoping to own more dogs in the future and would love a way to figure things out and not be a worry wot mom as I already am. Love my dog so much! I hope to help dogs for the rest of my life when what I have in the past for them, I hope I can do much much more for all of pet kind. I cant wait to see more of what you have to say and share with us. I cant wait for the Teleseminar this Thursday, April 30th! Your site, videos, blog and e-mail are unbelievable. Most sites these days require an outlay of cash for the least bit of information, but not yours. All your information is relevant and can be done by any pet owner. I’m extremely pleased with the alternative pet care information that you provide. In this time of economic turmoil home pet care is even more popular. I trust that no one will have to give up their beloved pet because of the high cost of vet bills when you are providing a low cost low risk alternative. I really appreciate how you are such an advocate for people with pets. You make it possible for people to take control and not have to take everything their vet says as gospel. We can, with your help, question any unnecessary treatments and/or medications prescribed by a vet. You are truly our pet’s strongest advocate. Thank you for your passion. You have been such a help to so many!! Great info!! Look forward to more! Thank you for the questions & concerns videos. I look foward to Thursday’s seminar to learn more. In the future, will you be expanding your homeopathy remedies research to include birds and reptiles? Your time and work is very much appreciated! I have been doing much research on homeopathy and natural healing methods for a couple of years and have never found anything as comprehensive as your website and newsletter anywhere. You provide a wealth of information that is invaluable. I have 6 rescued cats that are all seniors now and have tried to help them as best I can without invasive and often unnessary treatments and procedures. I am retired and living on a pension but will do whatever it takes to keep my cats healthy. In the past year I have lost 3 cats that were misdiagnosed by vets. By the time they found the problem and I tried to treat with alternative medicine is was too late to be of any benefit. My fear has always been that I do not have all the necessary information to treat them and will not do the right thing and cause more problems. So I take them to the vet but am not listened to and am ignored when I mention alternative therapies. I Live in a rural area, 3 hours from a big city with more resources so I am somewhat handicapped.So I panic and go to one of the local vets (I have tried them all) and am treated as a radical for even thinking of these alternative treatments. Then I have to live with the guilt when I find that there was an alternative treatment that could have worked. You are a godsend to all of us who want to do the best for our pets and cause them as little stress and invasive treatments as possible. Knowledge is power and you are giving us that knowledge. Thank you so much. Hello! I am intrigued by your news letter, and courses! I am always wondering what i can do at home to care for my pets. I recently lost my beloved 12 yo Shih-tsu. i thought he would live 3-5 yrs longer, and was devastated by his rather sudden death. My guilt for not recognising his glaucoma, and the horrible pain it was causing will always haunt me. 10 days of extreme pain, undiagnosed, ( my vet did not catch it either, and agreed that the strange fits he was having were due to senility), was what ultimately caused his heart to fail. Now we have a new 5 mos old puppy, and I w2ant to keep him healthy! Thanks for you help! I just finished watching the first of the two videos, and I am so excited about what I’ve ALREADY learned from it! I can’t wait to learn even more from you. You clear step-by-step approach to teaching is refreshing because it is so easy to follow! Thank you for that! I work at a local rescue, and own rescue dogs myself. As you know, rescues are up to their ears in dogs (and very short on cash), and our vetting bills are out of sight! Of course, all our dogs are initially vetted, but sometimes they might cut their foot or ear or something, and it would be so helpful to be able to treat them at home. Thank you again, Dr. Jones for all your hard work and dedication to make pet owners more aware and for letting them know they CAN have the confidence to treat their pets at home following your instructions. I am going to go now. I can’t wait to listen to video 2. These vidoes are very informative on homoeopathy, especially for cats since they have very complex systems. I am very interested in hearing your advice on vaccinations for dogs, and which one’s you believe are not necessary every year. I do the three year rabies. I am a professional pet sitter and I’m always looking for more knowledge about pets. My mom bought this course and we have been using it alot. We have shared lots of the information with our freinds and dog breeders at some of the shows that I go to. I am going to become a vet once I am done school, as a matter of fact I am planning on going to Saskatoon, as my aunt works at the vet college there also. I really like the fact that this course does give me some preperation and other insights as to alternative methods that can also be used in animals. Mom says she would love to upgrade her course, and I really hope that she does, then I just have to talk her into letting it go with me to Saskatoon. I would love it if I could enter your draw for the new course, that way I wont have to bug mom to take hers away from her. Thank you for what you do. Hi, Dr. Jones. I just finished watching today’s two videos and was amazed that if a thorough home evaluation is done, your dog would not need to see a Vet except for certain approved vaccines and emergencies (injured, etc.). I am anxious to see the two videos tomorrow to see what else I can learn about taking the proper care of my dog Jack. He is a shelter rescued dog and he means the world to me. Keep up the excellent work!! It’s me again, and all I can say is…”WOW!” This course really rocks! I just finished the second video, and your explanations and guidance are so complete, that anyone could follow them! KUDOS! In addition to helping out at our rescue, I also have 2 of my own dogs that could definitely benefit from your course. I have a 12yr old flat coated retriever, and a 2yr old shepherd/malamute cross (MY rescue dog). About a month ago, my 12yr old had a plasmacytoma removed from his front foot and is doing fine, but I feel guilty because I waited so long to take him to the vet. I thought it was either a wobbler or some sort of insect or ant bite. I tried treating it at home, but it just kept getting bigger and bigger. Had I had your course, I would have KNOWN that he needed to see the vet and it was not something I could do at home, but…hindsight is 20/20, right? Being disabled and a widow, I have no one to help me with “my boys”, so learning how to do it, and when to do it would be invaluable to me!!! It would almost be like you were standing over my shoulder telling me what to do next. Like I said, all I do is say, WOW! Can’t wait for the webinar!!!! Hi Dr Jones- thanks for the videos- they are very user friendly and chock full of great info as is all of your stuff. Will check for tommorrow’s videos and then be here for the seminar on Thurs. Thanks so much for what you are doing to help people take a more active role in caring for their animals. I realize that I have put entirely too much confidence in vets that bullied me into treatments that were not good ideas for my pets and came to find out later- that I did have other options. That I often was simply getting someones favorite treatment or their opinion instead of what works the best or what might be the best course of treatment for my animal. But I didn’t know what else to do especially when an animal was in crisis and the vet had my Visa Card. After I had my last dog put to sleep after a grueling two years of treatment for Cushings and arthritis = I decided I needed to become better educated. And then I adopted another adult dog who promptly became deathly ill before I got much of an eduation and I was right back in the vets office feeling exactly like I had before and he had my dog and my Visa card again. I dont’ know which is worse. Not enough information or too much. I had a lot of information I didnt’ know what to do with it- then I stumbled on your site. Since January-I have been using several remedies and simple ideas I learned – just from the newletters and the ebooks you made available to me free of charge(thank you so very much! )to help my 8 year old Daisy dog cope with her lousy pancreas. I have been able to keep her from being hosptialized – for 6 months and counting now! using what I have learned. After the last bout in December -the vet said she was not long for this world.I agreed. Three bad attacks and long hospital stays in a year did serious damage to my pocketbook and left her pancreas in a bad way.I wasn’t going to go for a 4th. But just like the first two times- after discharge- I didnt’ get anything from the vet except “use this RX lowfat food” and the knowledge that we would be back. Daisy has been doing pretty darn well for a fragile dog that should be dead by now. I have been learning what I need to watch for, look for , feel for, what to give, not give, to do and not do. What to feed. And not feed. I have had to tweak things a bit here or there to get things just right-it is still a work in progress- but she hasn’t even really had a good barf since Jan and that is saying something! With her – it is all about prevention and intervention-food-supplements-remedies-enzymes-pepsid and STRESS. AND catching it EARLY. There are things I know to look for that I didn’t know before to catch it before it gets out of hand. I wasn’t an idiot before- It is just that I never got anything useful from the vet. I will keep at this- changing and adding to it as need be to keep her as healthy as I can for as long as I can. If she needs to go to the vet- I will take her. I know what to look for if and when she is in trouble.This is all about getting to know your animals I think. I used to have a good full time job and but I got hurt. I wanted to order the course months ago but I am paying off VET BILLS and could barely pay for the supplement. Daisy is on mostly homemade food and she eats better than me most of the time! I worked in rescue for many years along with 2 neighbors.We haven’t been in rescue for a long time now but the people still bring animals to us when they need help. We are old and poor but they are older and poorer! We help as we could and refer them to working rescues but they are overwhelmed and people aren’t even getting return calls this year. We are so broke we can’t pay attention or we would have bought the course a while back and a whole mess of whatever we needed. We live in a mobile home park- in a crappy neighborhood full of lots elderly and disabled people who are in dire straights and they all have animals. We need this badly or we are going to be useless. It is big worry for us. For one thing-We have no rescue organization whatsoever to call on for back up this year-so we are really out here on our own. For another thing– We are going to start getting animals left on our doorsteps again if we can’t or won’t help people. They don’t go away- they just figure they will make it so that you don’t have a choice but to help their animal. I do not want sick dogs attached to my door knob with their leashes in the middle of the night again Dr Jones. Or cats and kitten in boxes on my porch. We have “rescue” stamped on our houses no matter how long is has been since we were actively taking in animals.People never forget where to go for help. Especially when they are desperate. We could do so much more good. We are all studying the materials from the free ebooks and newsletters I recieved. But we would like the whole course. Please pick us. I am the one with the internet connection but Joan and Joyce have been hovering and reading and trying things for months. Thanks- and we -will -be -back…..
Teri (and Joan and Joyce) of Bradshaw Mobilehome park. Dr Jones, I really enjoyed the videos and everything you post. I print up all your ideas in the e mails I get and your supplement has greatly helped my Boston Terriers Thank you so much. all of the info you have provided is such a Godsend to us. we’ve taken in several “rescues” – all with some sort of medical problem or another. I can’t even tell you how much we’ve spent at the vet! So many of the things you have covered, we could’ve been doing at home for our “babies” – we’ve got 8 little dogs now and l cat – I refer to so much of the things you have informed us about & wish there were more like you to help us animal lovers! God Bless you and please keep sending your daily info & seminars! As a physician, I use lots of natural home care for our family which includes 4 standard poodles. I breed the poodles to be therapy dogs. Allopathic treatment for pets can be just as unhealthy as it can be for humans for many conditions. Thank you for your insights on these treatments. I continue to be very impressed by the step-by-step information the course provides. This would most certainly be a great tool for pet owners to have at their fingertips when health issues arise. My husband and I live in Alaska and the nearest vet is more than 50 miles away. This course could literally be life saving for our dogs and ourselves as in the winter they are our main form of transportation (that is dog sled). These videos are so clear and comprehensive I feel confident that I could follow the advise and safely deal with many of problems at home saving time and money, not to mention correcting problems before they become more serious. Hello again Dr. Jones, I though I would find 2 new videos this morning, but there are the same 2 from yesterday. I’ll keep checking out. Even more clarification watching the second video. Can’ wait to get my hands on the new course. This course could pay for itself by preventing just one vet visit. Reviewed episodes one through four. Surely with the examples given and sample of info found in the book, most anyone should be able to follow the instructions in treating your pet. Your course would be invaluable to anyone wishing to care for their pet appropriately. I’m sure I would want to purchase the course, however, I’ve been laid off and cannot spend anything at this time. I have 2 Mastiff, 2 Chihuahua, 1 anchient cat; lost a 12 yr old Chi. and a 3 yr old Mastiff last month and a current vetrinarian debt of $1500. I am thankful you do this. I run a non profit shelter and it is beyond helpful that this information is this accessible. I don’t have near the necessary funding to take even one of these rescues to the vet when I run across a minor situation that I can take care of myself.It has saved me money I don’t have. I and the pets in the shelter are thankful for this program. I just wish there were more vets that would appreciate the value of your system, especially about vaccines and rabies shots. Doc, You rock. Very Nice, can’t wait to hear/watch the other two videos. Sure wish I had high speed internet connection But living so far out in the country all I have is slow dial-up, but it was well worth all the time it took to download and watch. Can’t wait to learn more about alternative ways to care for my pets. Can’t wait for the teleseminar!! thanks for the valuable information. it’s nice to have vets out there who truly care about animals and not how much they can profit from pet owners. I enjoyed your videos so much. I have learned alot. I have 2 Min Pins and a black lab and an australian shepard mixed with catahoula. They have not been sick, but I feel more comfortable if they do get sick. Thanks for all the info you have given me. PS I don’t vacinate my dogs. I thought of this before I read your comments, but just as I don’t give my children vacinations, I was sure it would not be any better for my pets. Finally had a chance to view the very helpful short videos. Your information was very valuable and as nasty as it sounds, hopefully will not have to use it any time soon. Am practicing examening my pets so I can tell if there are any differences from week to week. Of course there are informal checking with belly rubs. Am glad you are willing to share your knowledge with us pet owners. I agree with Christine. It’s so helpful to know about alternative treatments, but most vets seem to just go for the drugs. They may not even mention side effects of the drugs or that there are alternative treatments. Thank you for sharing so much information with us! Thank you! I’ve been forwarding your information and links to many of my animal communication clients. It’s great to find such a concerned, caring and loving veterinarian who offers alternative options to the masses. I have VSR 1.0 and it has come in handy a number of times. I want to make sure I am doing everything I can to keep my three dogs healthy and happy. Two Paws Up to Doc Jones! All I can say is……WOW!!! Your dedication to animals and their families never ceases to amaze me. You are such a great resourse—-and one I trust at that! I don’t even know how to begin to thank you. You are very appreciated in my household—you leave nothing out!! Thank you very much for everything you do—you are amazing!!! All I can say is……WOW!!! You never cease to amaze me. You are such a great resourse—-and one I trust at that! I don’t even know how to begin to thank you. You are very appreciated in my household—you leave nothing out!! Thank you very much for everything you do—you are amazing!!! I like the multi-media teaching approach that should make the material much easier to master. four video clips and the subjects covered in them. This site is very exciting! We have been trying to deal with our German Shepard’s skin allergies and I am looking forward to some natural remedy information. I really appreciate having this kind of information, which I have been looking for all of my life. I have had many animal companions over the years as I always take in animals in need. In the past I have had 3-4 books with what I considered to be the best information and I would go back and forth between all of these. It was overwhelming and sometimes confusing. I persevered and had much success, but none of these books came close yo your approach. The at home pet exam gives me the confidence to know when to go to the vet,or not ! Finally! The agony of trying to decide when to go is over. I would not hesitate to take an animal to the vet but 80% of the time they can do nothing helpful or just prescribe antibiotics. What I like about these 2 questions is how they lay out the logical order in which to approach assessing a problem and how to figure out what to do in a logical sequence. These sorts of things can be overwhelming and stop a person from taking any action. My dream as a child was to become a vet. I had to put that dream away because science and math were over my head. But in my 20’s I got interested on herbs, massage, homeopathy, acupressure…I studied like mad and started to use remedies on my pets and myself. This may sound melodramatic but it is the truth for me: This course is the realization of a lifelong dream of being able to help all of the animals I meet. There is so much that can be done by the layperson with the right guidance. All I can say is bless you for this work. I found the first two video’s extremely detailed, and look forward to hearing the next ones. I have a young lab cross with skin and food allergies. Though these seem to be under control more with diet, I look forward to hearing about how I can treat her naturally without severe medications. I also look after an older dog a couple times a week, with arthritis in the joints, and would love to be able to help her out, as it breaks seeing her struggle to get up, and conventional medication only helps her to a point. I really enjoyed the 2 videos. I have 2 German Shepherds about a year old and both of them had Pano. It would have been nice to have your dvd and course for treatments. The Vet we went to gave us pain meds and same treatment – rest and no exercise. Could have saved with your course. Looks like this course could benefit many pet owners. Congratulations on your NEW Veterinary Secrets Revealed Complete Home Study Multimedia Courses, Version 2.0! I am a affiliate of your program. And I have a couple of mini sites that promote holistic pet care using remedies that you taught us in your ebook Veterinary Secrets Revealed. Why do I go holistic? Bec I realise not all pets can withstand the side effects of conventional drugs. Once at a dog shelter, I was baffled by the reaction of a small senior white dog, partially blind, rescued because of neglect. When flea and tick medication was applied to the back of his neck, he would resist the meds. His whole body shivered, and he cried and pawed. The other dogs were fine with the meds. Back then, I hadn’t know Dr Jones. The volunteers just thought the scared dog needs a little more TLC. But this encounter left an impression on me. It intrigued me to look into alternative healing for pets. On hindsight, an elderly dog with a compromised immune system and sensitive skin would fare better if we treat using safe and natural home remedies. So, Dr Jones, thank you for passing on your knowledge about holistic pet care. Would I want to be the lucky winner? You bet. Wishing you a very successful launch! Just finished watching 1&2. Happy to see that you support homeopathic remedies including acupressure. I seem to only find allopathic vets with no tolerance for alternative care. My last vet gave my dog a 6 combo vax without asking me and before I knew what she was doing! Needless to say, we have not been back. I’m looking forward to the seminar! 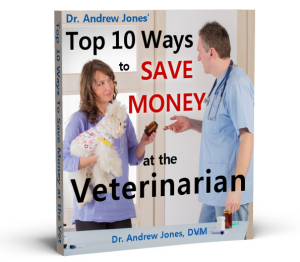 Veterinary Secrets Revealed has helped a lot when my cat has a problem. Thanks for making this information available. This is the kind of information all pet owners should have. Thanks for putting this seminar on! Wow! This small taste of what your course is all about is so great! It makes us feel so confident that we could actually be our dogs best care provider ever! Having a better understanding of what could be going on with our sick pet and not JUST relying on what vet tells you (after many $$$ tests and then PILLS) is very reassuring. Thank you for making that possible. unbelievable … i just finished watching 1&2 and can’t believe the detail in which the information is presented — however, easy to understand. i believe in homeopathic remedies (for both myself and my pet) — and can’t wait to learn more from you. It seems like a lot of information. Look forward to the teleseminar. Thank you Dr. Jones for this in depth information provided. I love the examples that you use which allow me to connect better and understand how it all works. Totally appreciate this 100%. Thank you so much for this invaluable information, Dr. Jones! I have 2 furry friends (canines) who I love dearly and would like to have around for a long time. I work in the human medical arena and I know that the predominant mentality is still patriarchal and “secretive,” assuming that patients don’t know how to diagnose and treat themselves safely and effectively without a medical doctor. You blow the doors off of this limited mentality in the Vet arena, by giving us “pet parents” credit for knowing our own animal friends intimately, and by providing us with the tools and reasoning skills to determine whether a trip (and expense!) to the Vet is necessary. Thank you! I watched the pod cast last night and I was very impressed with the knowledge that has been presented. I have been working with natural remedies for my self for years and have been trying to do the same for my animals but I am always a little nervous because I dont know the dosages and it is hard not to listen to the vets.Luckily I have a vet that is not afraid of trying the natural way first. But it is hard to argue about vaccines with them. I cant wait for the podcast tonight. I’ve watched 1 and 3, going back for the other 2 in a moment. I am quite excited about this information. I am interested in the more natural and less chemical-based treatment for our dogs and cat, and my husband will be thrilled to save money on the vet visits. I love that you are willing to share this information with the public when you could follow the rut of most other vets, pushing meds and diagnostics to run up huge bills. You are a generous man. Thanks for all the information. I have been trying to do everything naturally at home for the past few years with my dogs. They are healthier and happier and I know when I have to see the vet. Looking forward to the seminar. Thank you for all the information you provide. I especially like the alternative medicine ideas you provide. Usually, if a cat gets an abscess, the cats person goes to the vet, gets some antibiotics, and is stuck with a huge bill. I am in cat rescue and have to pay for all the vet bills and your advice has really helped. Wish more vets would be so kind in helping those (meaning the animals) that cannot help themselves. I tried the information from the second video yesterday. My boxer came in limping from outside play yesterday with his buddies. I completed the exam check all normal except the pain/limping on right rear knee/upper thigh. I gave him the recommended arnica and asprin and this morning he is now putting some weight on his leg and not limping. I am hopeful in a week will be back to normal. i really appreciate having non-pharmaceutical means to treat illness in my companion animals. this is difficult to find in my area, but having succesfully treated a cat long ago with homeopathics after all conventional treatments had failed, i am sold on their worth in treating pets….with no side effects or contraindications. thanks for all the information and help. I like your step by step approach to healing your pet. I wish that I had had this information a few years ago when my cat had an abscess. I feel confident that had I used the methods described, they would have healed my cat or at least helped. I did get my pup vaccinated with all the proper protocol as directed by my kennel. However, I would agree that vaccines can cause more bad than good and would like to learn just how much is truely necessary over his life-span. I would like to give as little as possible, while protecting him from what is truely necessary (not just for my vet to make a living). By the way, I’ve got a great vet who is in it for the passion he has for animals. I am sooo lucky and how for his longevity. I watched the first 2 videos and what great information. The videos were great. Very informative and can save a lot of money and in some ways get better treatment than going to the vet. Thanks for the videos. I watched video 3 & 4 prior to 1 & 2. My previous question was answered. I am looking forward to the web conference this evening. I am very excited about this course and the information that you are sharing with all pet owners and lovers. We need to have MORE holistic vets like yourself. Too much medicines and too much bad food! Can’t wait for the webinar. I want to Thank You for all information that you provide! We are a volunteer puppy raiser family for The Lions Foundation Dog Guides of Canada, future service/working dogs. As well as adopting 2 of our former foster puppies (one retired after working 3 mths..lol..the other because of gr2 hip dysplasia) plus adopting the sister of another foster who is now working as a Canine Vision dog in Nova Scotia! So..our house is busy with 4 labs all 3 yrs of age and under! I can not tell how much your information is appreciated. I do hope I can eventually save enough to purchase your VSR. The videos were very informative. We are trying to make our dogs lives as holistic as possible…in everyway..food, treats and health care. Looking forward to tonights session! A hudge fan in Peterborough, Ont! !